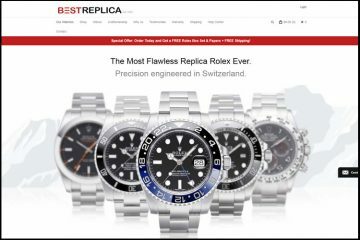 It was about time we discovered a trustworthy and dedicated seller of high quality replica watches and this is exactly what Timepiecebuy.com promises to be: an online supplier for exceptional imitation timepieces who will always stand behind its products. So are you ready to buy some extraordinary replica watches? 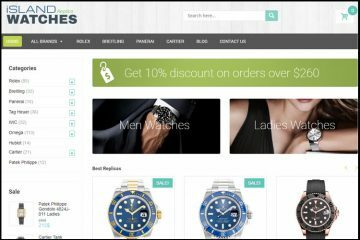 At first, Timepiecebuy.com seemed to me like an amateur and rudimentary website unworthy of our attention, but after a couple of minutes I started to discover another face to it. This face was of a quite complex and well-constructed online store. The whole page is full of menu bars and interactive functions that are designed to ease your access to the products and to the information regarding the policies and services provided by the company. Both the upper and left side menu bars are dedicated to presenting the available brands. As expected the top menu features only a couple of watch names while the left one seems to be a never ending list of famous designers. This only suggests that the collection is huge and probably the best place where to find that perfect time piece that you were searching for a while and no replica store seemed to have it. Luckily for us all the brands are divided into sub-collections and each one has a filter that you can use to sort the products by price and name. This really eases very much the browsing process and shortens a lot the time needed for finding the watch that interests you. The prices start at $100 and go up to $500. The company supplies both Swiss and Japanese movement watches. The Japanese replicas are available with quartz or Asian automatic movement and these costs about $100-$250. The Swiss models are equipped with a Swiss ETA automatic mechanism or with a Swiss quartz movement. The prices vary from $250 to $500, depending on the inside mechanism, on the materials used and on the design of the watch. Indeed, these knockoffs seem a little bit pricey, but if the quality is as good as they say then it is definitely worth it. The description for each watch is very well written and it details every single particularity of these replica time pieces. Specifications such as movement, materials, size, functions and markings are clearly explained so that each potential customer knows what to expect from the replica he wants to buy. The company is able to accept payments with Visa, Mastercard, American Express, Western Union, Bank Wire and Money Gram. Apparently, Mastercard payments are available only for specific countries and you can confirm with Customer Service if yours will be accepted. 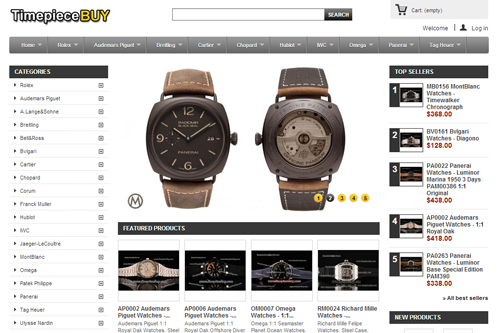 I must admit that Timepiecebuy.com is able to process almost all the important payment options and from this point of view it is a merchant that has really put a great effort into assuring a smooth and easy ordering process for its customers. Orders are being shipped from China with Air Mail Hong Kong Post, EMS, FEDEX, UPS and TNT. In the Order Form you have the option of choosing the desired carrier, but please consider the fact that there are noticeable variations in the estimated delivery times as well as in the shipping costs. Air Mail Hong Kong Post takes 10-20 working days to deliver a package and it is free of charge. EMS takes about 5-10 working days and starts at $15 while FEDEX, UPS and TNT take 3-5 workings days and start at $35. Of course, a tracking number is provided for all shipping methods and the company provides a delivery guarantee. If by any chance you have received an order from Timepiecebuy.com and you are not happy with it then you can take advantage of their refund or exchange warranty. If you simply do not like the products or if these have arrived defective then you should contact Customer Service within the first 14 days from the delivery and request the return information. Also, all replica watches being sold by this company benefit from a 12 months repairs warranty. There are only a few companies on the market that are able to stand behind their products with a one year warranty and this speaks a lot about the quality of these products. CONS: On the website there is no reference to the Return/Exchange and Warranty policy. I was able to retrieve this information by contacting Customer Service by live chat. Indeed, the operator was very nice and she politely explained these policies to me, but it feels more secure to have everything stated on the website for everyone to see it. Pictures: The product photos are another strong point of this company. The images are unbelievable. Each replica includes about 12-20 pictures which show every side, marking, details and particularity of these finely crafted watches. And, indeed, you can clearly see from the photos that these knockoffs are an exact copy of the original watches and that the craftsmanship is excellent. Another thing I have noticed is the fact that the watermark Timepiecebuy.com is stamped 8 times on each picture. It is clear that this merchant is trying very hard to protect its images and this is only because these do belong to him and he has invested a great amount of time and money when making them. Customer service: The company can be contacted by Live Chat, phone, email, MSN and Skype during these business hours: 9:00 to 00:00 EST. I was surprised to see that the Customer Service department is actually reachable. I have tested the Live Chat button and I had a very nice and pleasant conversation with Sally. She answered all my questions in a very polite manner while also providing the exact information I have requested. It was a pleasure to talk to her and this encouraged me to also try the contact phone number. This too was answered by a very nice operator which was as helpful as Sally. I was delighted to see that a replica merchant based in China is capable of such excellent Customer Services. Summary: Timepiecebuy.com was for me a great surprise. After a great deal of time I was finally able to come across a replica merchant that is able to compete with the services and products of any reputable and world known online company. 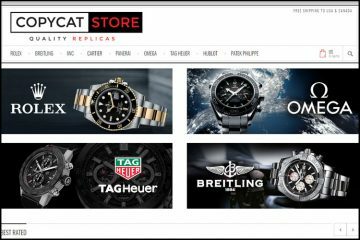 On this website I have found a large number of watch brands as well as an endless number of timeless designs. 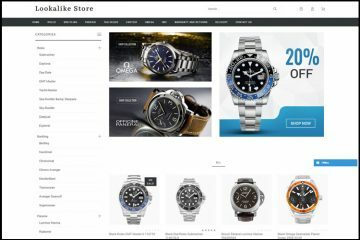 Reviewing all the policies and services provided by Timepiecebuy.com I have concluded that it is a place where any watch aficionado can shop with confidence. I had zero issues with them. Bought a watch from them, received it in the mail today and liked the quality so much I tried to go on and buy another and it appears they have been shut down. Too bad. I feel I would have done a lot of business with them.